Happy Garden always comes close to my heart due to my crazy nine months stay at Pearl Point condominium at Old Klang Road as a student more than 20 years ago. Strolling around OUG, Happy Gardens, and Kuchai Lama from afternoon till late night were my usual activities. It was unproductive but it definitely goes into my once in a life time fond memories. Well, after so many years, Old Klang Road has been massively upgraded where residential and commercial buildings were mushroomed everywhere in this part of Kuala Lumpur, and of course it includes Happy Garden. PROPCAFE here to review one of the latest launches – The Riyang by Suntrack. Instead of building more affordable and high density small pad for Gen Y and millennials, The Riyang is designed for family orientated owners who appreciate space and practical home. After Gembira Residen’s success here, The Riyang provides a fresher and newer property as a choice for Happy Garden fans and residents to own or upgrade. 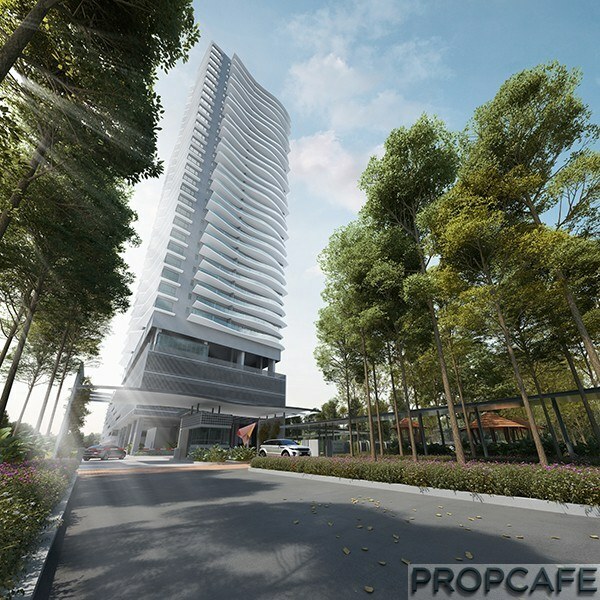 While PROPCAFE searching for the information regarding The Riyang online, we bumped into The Riyang thread in Lowyat property forum and realised that we do not need to do much works as the answers by the developer in the forum are so detail that it has more or less covered all the important information. It is great to see the engagement of developer with potential customers or property enthusiast in the forum. PROPCAFE, therefore, decided to put up this PROPCAFE Peek to include all the valuable inputs from the forum so that interested parties do not need to keep scrolling up and down the thread. Instead, everyone can just get a quick glance here with a clean-up version. This is the first time PROPCAFE doing this because we cannot help but want to “preserve” these good information from developer which is very helpful to all property enthusiast. PROPCAFE founders have contributed a lot in the old property forum like myrealestate, unfortunately all information were gone by now after it closed down, so we will make sure it won’t happen again for The Riyang. Of course, being PROPCAFE, we won’t be stingy to share our view too on this project. Developer – Who and Track Record? Suntrack has proven that they are responsible boutique developer over years. The management team is very hands-on in their projects and always communicate with potential buyers. In many occasions, they even amended their plan to fix the valid concerns raised by potential buyers. The down to earth young boss showed so much energy to discuss and address issues raised from customers also proved that they certainly value customers a lot which unfortunately rare nowadays. PROPCAFE visited countless properties and sales offices and many times, we saw the bosses came with bodyguards or escorted by the management personnel to tour the sales office with journalists. The buyers just like the spectators there to watch the government VIP show. We thought, aren’t they supposed to greet the customers? Opps, sorry, I couldn’t help but thought about my previous experiences. Back to developer profile, previous project by Suntrack like Summer Glades, Cyberjaya and the Hub, Bangi were well executed on time with with QLASSIC (CIDB construction built quality certification) accreditation scoring more that 70 marks. “Suntrack’s Head of Project Management department is also a qualified QLASSIC assessor herself and she has been driving our ISO9001 and 5S with much passion”. Their responses to its defects were very commendable too according to the few buyers that we know of. 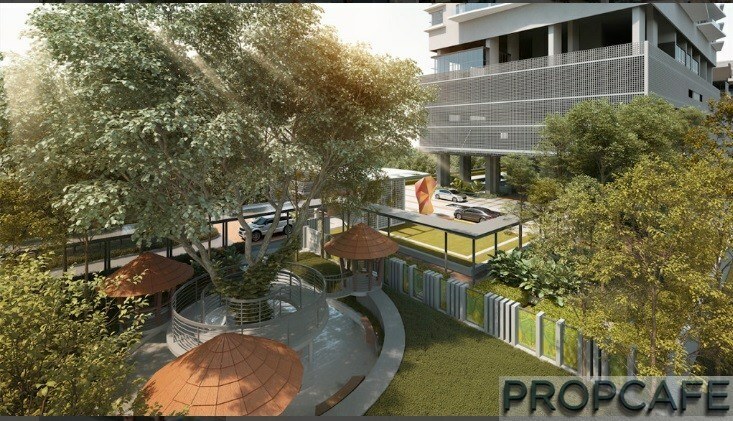 Hopefully, PROPCAFE would have a chance to visit their soon-to-be VPed project called Kanvas in Cyberjaya in near future so that we can share it with our followers again. Five words: Friendly, reliable, and responsible developer! PROPCAFE: Family Home, Space, Comfort, Big Balcony, Convenience, Two Generation Home in Matured Township. 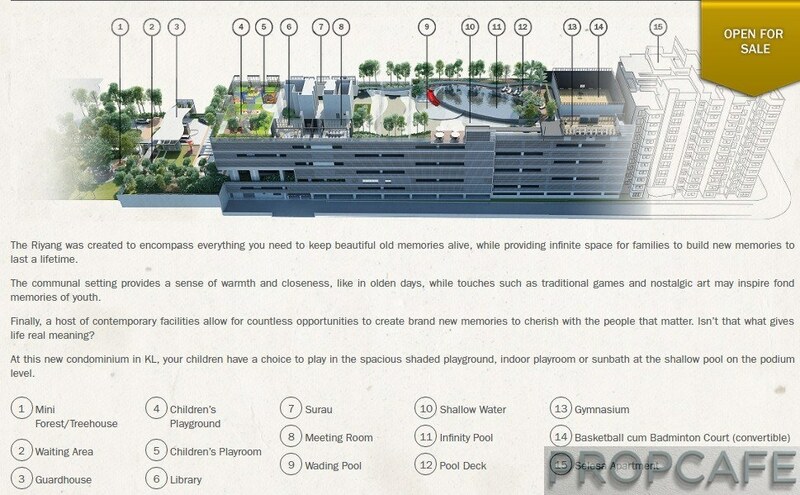 It is a freehold 35 storey property that comes with 212 family friendly units with only 8 unit per floor. Yes, 212 units. Sound rare in the market nowadays. Two years ago, all property enthusiast and own-stayers screamed about the unaffordable price of properties. However, with government initiatives and pending demand from market, developers have taken up the responsibilities to offer many development with RM300k to RM400k range of properties last two years. However, there is no perfect world as it also means that projects are now tends to be high density together with some cost saving features e.g. less lifts, less common area, less carpark lots, less landscape and etc. Less x 3. 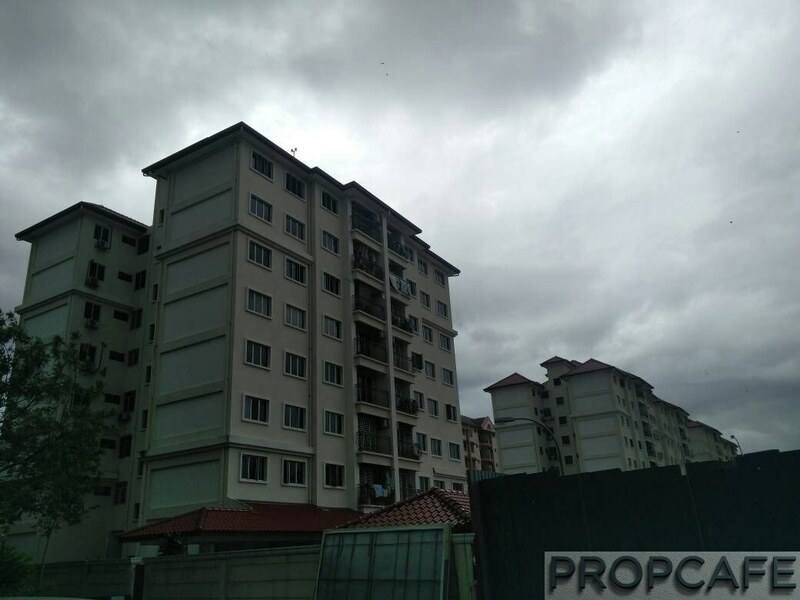 Do not get us wrong, PROPCAFE loves affordable properties which allow more Malaysian own their HOME, but PROPCAFE certainly not encourage the speculation or heavy investment in this segment. Many times, we saw investors rushed to BBB these projects. It is not difficult to understand it by just think about the problem of Millennium Bridge in London when it first built. When there are too many people having the same steps and directions, then you will see the issue. The Riyang, somehow, provides some fresh air to the market by offering the rare product for buyers especially own-stayers. Let’s admit it, it is not investable for short to medium term basis as the rental yield and absolute price may not work in favour for Riyang based on the affordability of rental and income level in current cycle, however, it is certainly a property that you will consider for ownstay if you like this matured location. It is not just merely offering big space to owners but The Riyang has put many elements into this project to live up their slogan “Luxurious spaces, BEAUTIFUL MOMENTS” for happy families. 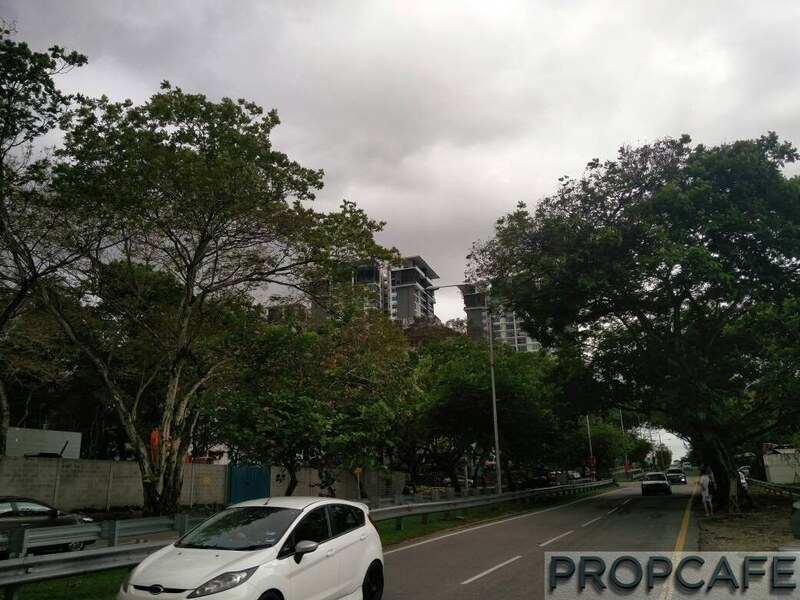 The Riyang, other tower includes an affordable housing called Selesa Apartment. Selesa Apartment, 91 units, is a Rumawip Scheme for first time house buyers which will be built concurrently with The Riyang. By looking at the scaled model, it does look good and neat. Definitely one of the nicest affordable RUMAWIP that we have seen. See photo below. It attached with the Riyang’s car park and has a different entrance (straight ground level of car park area) which indicated below. Matured – You just need to look at the map below. How many more empty lands available? Would you buy a property that give you a desert view? Long term play, maybe J. For ownstay purpose in few year time, No Way Jose! Ok, it could be just me and I believe there are more factors and views from other property owners to call it as Home at “Sib Beh Far” place. So, no offend, ya. In short, to reduce the pain, take a ride of MRT. The station mentioned above is just about 1.2km away which scheduled to be ready in two years after the completion of The Riyang. Walk or drive, your call! “That area highlighted (red circle) belongs to another old time developer and to our current knowledge, they have no plan to sell or develop that land. 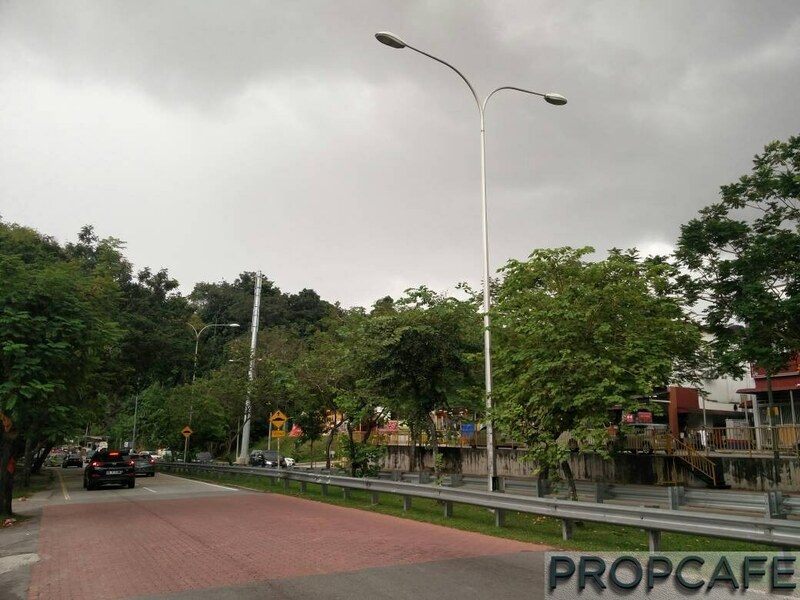 When this subject land is developed, Jalan Gembira (Double Carriageway) will continue straight into the subject land and cross over to the road reserve in Taman Salak Selatan (please note a stretch of green belt there), in accordance to the DBKL master plan. A bridge will be required to cross over but we have no current information on how that bridge will link with the MEX highway (as the Master Plan did not show that information). Sometimes, we have too much information on amenities. As a family person and property enthusiast, I basically looks at only few when comes to own use property: (1) Right school for my kids, short and long term; (2) Eateries and good size mall (both community mall and regional mall) for leisure. (3) Lake and Park; (4) Easy accessible to major highways; (5) MRT and LRT (sorry I am not KTM person and the experience was rather bad!). I would say, other than (3), The Riyang ticks all. So now we can go deeper to find out more before we see whether it is a Yes for ownstay. Orientation and View – View Obstruction? Based on our site visit, the neighbour Gembira Park apartments look acceptable unlike many rundown apartments in Klang Valley (See below). The units with Good View? How about KLCC North View? “The Sri Desa block directly beside our northern boundary is 12 storey tall (including the roof). You can count the building height from our aerial image. 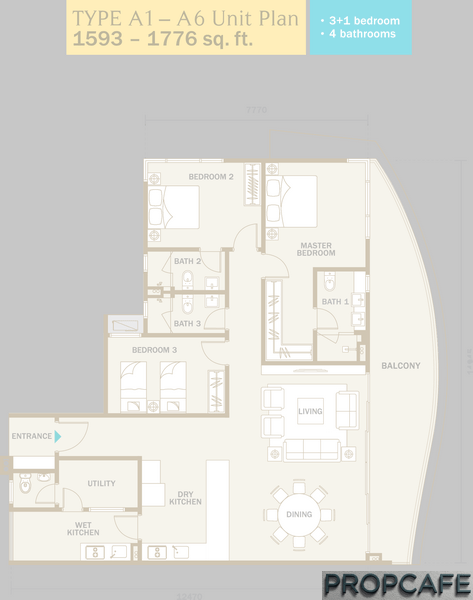 The floor level of our LG2 is 1 floor below the ground floor of Sri Desa. For us to match the roof top of Sri Desa, it will be approximately 13 storey of equivalent height for Riyang. That will be LG2, LG1, G,,M, 1, 2, 3, 4 (level 4 podium deck is double volume two storey tall) 5, 6, 7, 8. 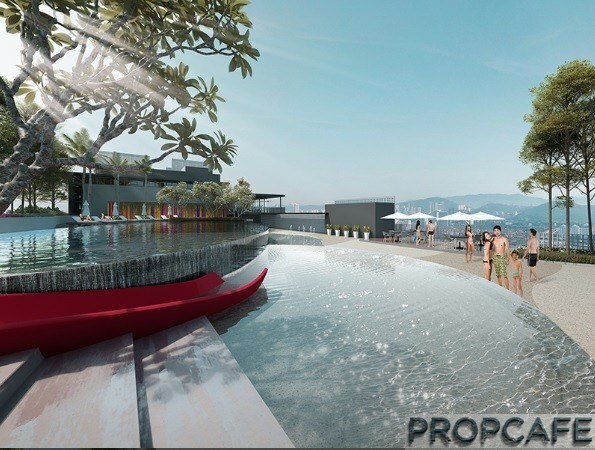 Level 8 and below will be obstructed by Sri Desa for the view BUT they get to enjoy the beautiful swimming pool view. In any case, Level 9 and below has been priced with a deep discount due to the less panoramic views. Level 12 is not obstructed. One of the advantage of our mature neighbourhood is that our neighbours are “short”. Alternatively, you can visually count the height of sri desa at the physical site and then compare that against our scale model and our approved building plan. 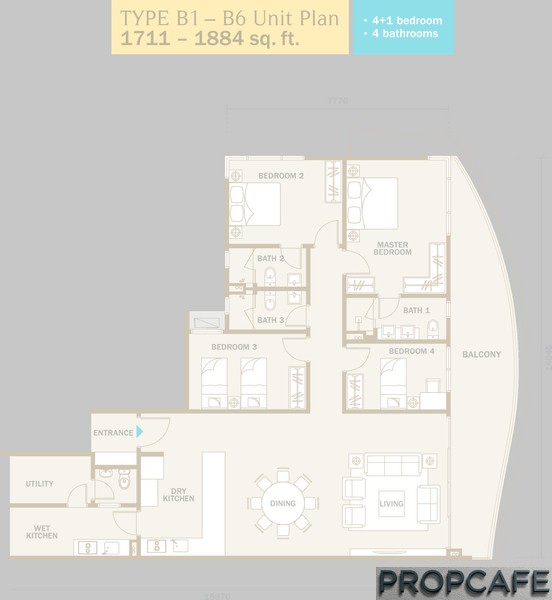 8 units per floor to share 5 lifts! Why window besides the WC but not shower area in master bedroom? Huge Balcony and Small Bedroom Size. Why? “For our type C 1477 sqft unit (3 bedroom plus 1 maid room), our balcony size is 120sqft which is about 8% of the total build up area. Our architect and us felt that is a reasonable proportion to our condo unit, otherwise the balcony will be very small. A very narrow balcony over the height of the building is uncomfortable. Secondly, the balcony serves another important design rationale, which is to let our entire dining and living room area have an “uninterrupted space” via the full height sliding door. One must imagine the sliding door being replaced with wall and window, the experience of the space will be somewhat constrained and becomes different. The “uninterrupted space”, in architectural terms, allow us to “borrow the air space” outside the sliding door into the space we spend most of our time. Our customers borrow even more space when they fully open their sliding doors to enjoy the breeze. Thirdly, we are blessed by our short neighbours (5 to 10 storey) so we have great unobstructed views all round us especially the KLCC city view for our north and east facing units. So the balcony with glass railings and our sliding doors offers us a great panorama from within our unit. How about units for small balcony lovers? “The aircond compressors are installed just outside bedroom 3. It is set in from the facade line so it is not visible from most angle (from the ground). Please ask our sales person in the gallery if you dont understand what i mean. Where did we find space to put 5 compressors there? Here comes the technology part. We are using inverter multi split compressors. So 2 compressor can power up 5-6 aircond blowers. The multi split is more expensive for us, but we did it so that we dont have compressors in the air well. How about the Feng Shui? “Technically according to Feng Shui, Feng Shui is very personal and it dependent on every individual. Feng shui has a lot of do with the location, direction and flow of the mountain and the chi. We have seen feng shui master making claim that certain location has better feng shui than others. To us, feng shui has a lot of do with being sensible too. Essentially, the space must be bright and well ventilated. A good example is our lift lobby with sun light from both east and west sun, and cross ventilation from both direction. 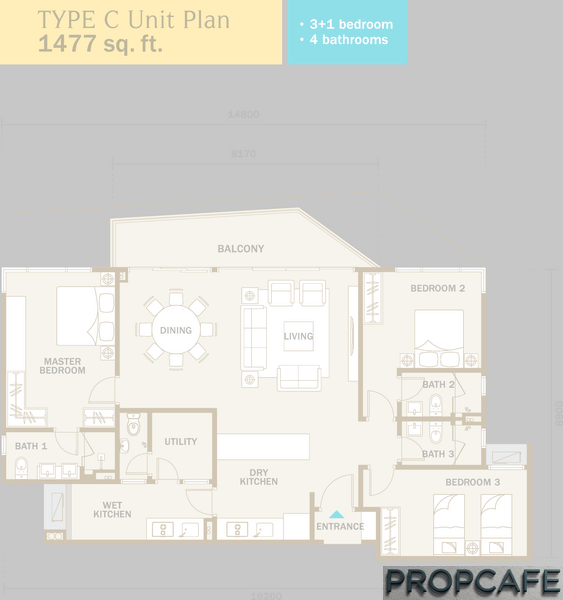 Our condo units have big windows, tall ceiling, squarish space and sensible layout. 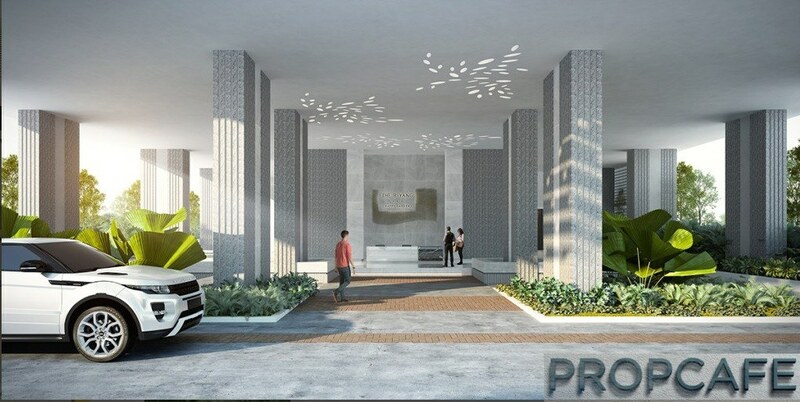 Our grand entrance with fish pond, mini forest and lawn sets the tone of calmness to welcome you home everyday. Note: Refer the floor plan above. “We have 2 layers of door. To enter the refuse room from the condo unit, you pass the first door to enter the service lobby and then the second door to enter the refuse room. In any case, the refuse room has exhaust air by suction to remove foul smell. It will be have bins for general waste and recycled waste. 4m wide carpark ramp instead of conventional 3m. One straight ramp from floor to floor instead of half ramps for every half floor of carpark. Short circular loop instead of long end-to-end loop. Natural light and air for comfort to our carpark. High ceiling with minimum and tidy beam layout. Extra wide carparks for those obstructed by large columns beside. Ramps to lift lobby for disabled and baby stroller, carefully tucked in fire escape door for pedestrian safety, pedestrian walking lane. The price ranges from RM550/sqft. Too complex to illustrate here. Sub 500psf also available if one do not mind the view and low floor. Check out with the developer. Too many variable to explain here. 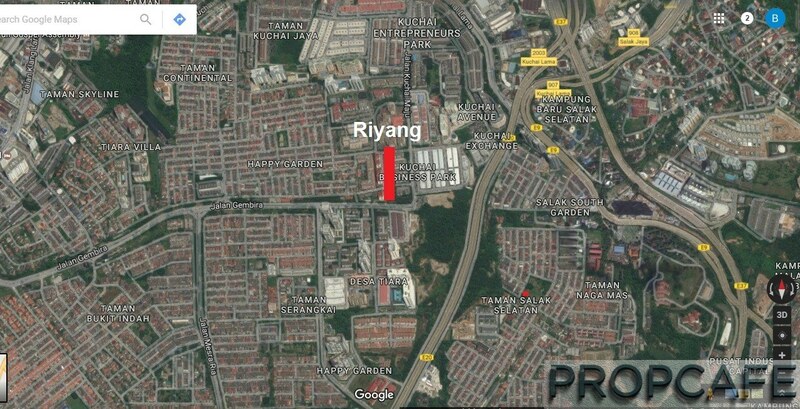 The Riyang is linked together with RUMAWIP Selesa Apartment – Land and Title Concern? Is the entrance of The Riyang located at the existing night market? As the land is shared between The Riyang and Selesa, any issue if the enbloc sales (like Kudalari Condo in KLCC) happen in future? Would be it disadvantage to The Riyang. Question raised by a concerned forummer. “One must understand the principal behind unit share calculation and weightage of unit share depending on property type (in accordance to the latest Strata Title Act). Under the first schedule of the act, all residential and office are given the weightage for 1 time for the share unit. 1. Whether a particular unit has been renovated or improved. 2. Whether the said unit is on high floors with great view OR low floors with no views. In my opinion, the formula itself is not perfect for all situation. For example, weightage formula for retail is straightforward 2.0 times against 1.0 times for residential. The mall owners must be quite sore too considering that mall value is so much higher than residential value. To answer your question based on the book, technically the owners of Riyang Condo and owners of Selesa Apartments (rumawip) will be compensated on the same value per unit share. (Unit share is determined based on the area of unit parcel and accessory parcel). Considering that Riyang owners pay more per sqft of their property, the compensation formula is certainly unfair. Would the land sub-divide between The Riyang and Selesa? Share entrance of Selesa Apartment? Car park bays for Selesa residents are allocated at the ground floor carpark podium which cannot access to other floors. “1. Other than the Pasar malam to be moved away to other location, we are moving away the carwash next to Gembira Park block C. We will be hacking away the illegal concrete slab. Then we will put in place guard rail barriers and landscape the road reserve with trees and grass. We will repair the drains too. 2. 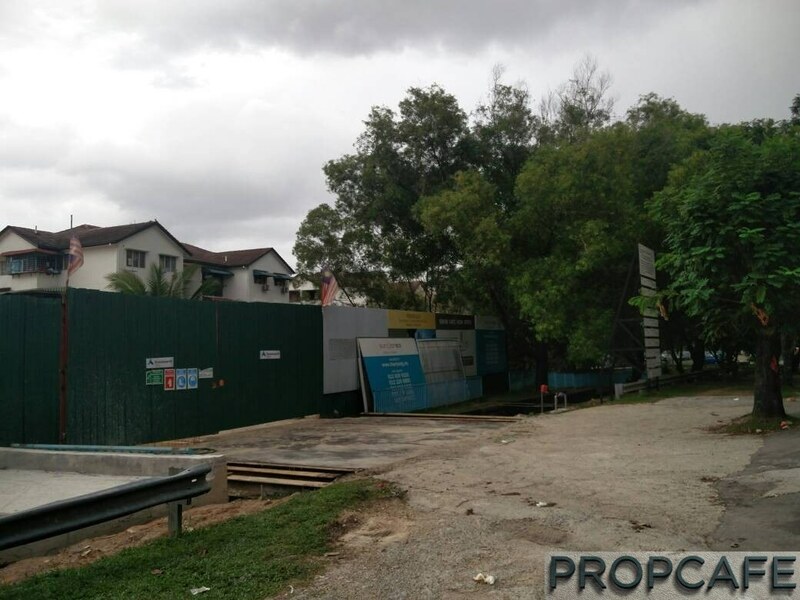 We have proposed to Gembira Park Block C chairman to let us repair his damaged fence facing jalan gembira. We even offered to remove one fallen tree in his playground. 3. We are gathering objection letter from our resident and condos to request DBKL to evict illegal car workshops (the space is designated as green belt which beside Gembira Park Block C). 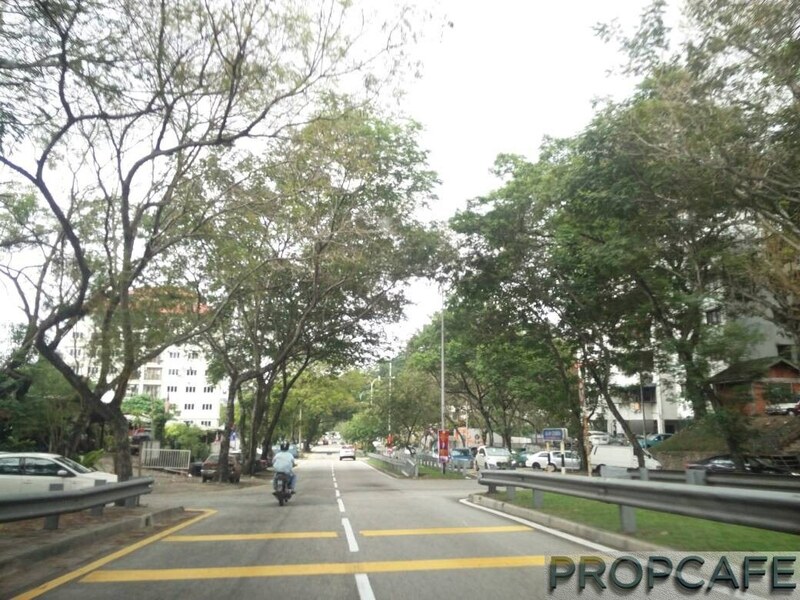 Once evicted, we will offer to DBKL to landscape the designated green area. 4. We will be widening the road bend around Jalan Gembira (next to the used car) to improve traffic. 5. We have removed a lot of loan stickers around our neighbourhood and still removing them when they come back. 5. We have cleaned up some fallen tree beside the 5 storey Happy Garden Apartment. There are many questions on the comparison with nearby competitor – Le Yuen. Hope the information extracted below help. To be honest, PROPCAFE sees Gembira Residence is the closest competitor, not Le Yuen. Unfortunately, we could not manage to visit Gembira Residence to make a case to spar with The Riyang. 🙂 Maybe make it next time! 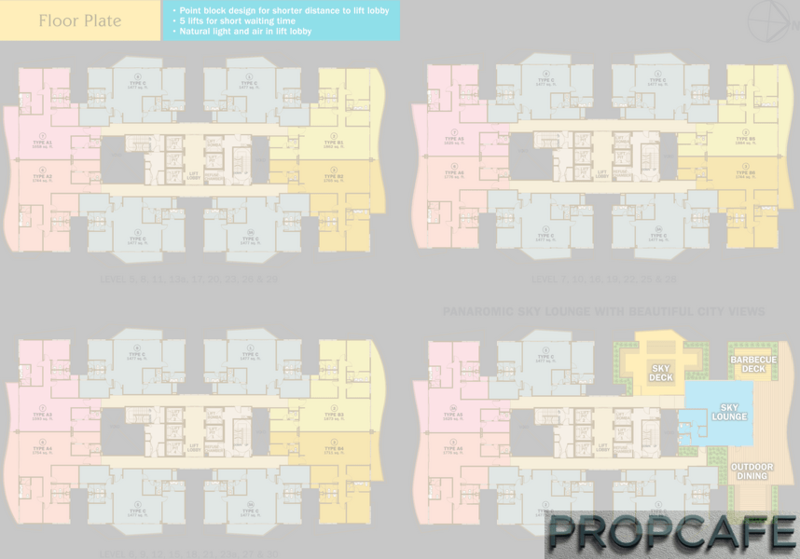 PROPCAFE loves the detail planning & design works from the developers. Matured area is always the preferred choice in term of the selection of property location. This project is clearly target for own-stayers and also people who like convenient and to be near to city. There are not many units for sales and PROPCAFE believe eventually all 212 units will be sold to the proud families. One can expect the pricing in future to be more stable compare to the rest of the investment bound properties. When there is less for sales in the market means higher chance to fetch better price. However, due to the relatively higher absolute price, it needs a push in economy/income growth to support the next pricing level, so it could take time. Since inflationary will not go away in anytime soon, it is safe for own-stay and long term holding. To be honest, life is short and if we throw away all the speculative factors, buying new home is all about to improve the family living lifestyle, which is precious. Follow your heart, buying for own-stay is not complicated at all! Awesome write up. You guys never fail to amaze me! This one is really a good one. Thank you for your insights! Good write up and summary. Sum it quite well. In my opinion, Suntrack had studied the demographic and done their home work in coming product such as The Riyang. Most of the people tend to overlook the main issue about what is much needed and what is lacking at this establishment. The land here is scarce the area is very developed and crowded, if you want a landed it will burn your pocket and beyond the mean of average income earner. The proposition of Riyang is too fill the gap there by offering an alternative lower cost product as compared to landed but at the same time trying their best not to sacrificing too much on the privacy by having a less density strata titled high rise with very good and practical layout for family own stay purpose. This kind of product is what much needed at this Happy Garden area for those who looking for ownstay but cant afford landed at the same time much annoyed by very high density project. If you look around you will know, not many of same kind as Riyang around this area . PROPCAFE analysis is very in depth and this really an eyes opening after reading this article. Well done PROPCAFE and good work Suntrack. I hope Suntrack developer will come here to interact more . Thanks! Thanks for the feedback. PROPCAFE like to cover more projects for our followers. From investment friendly, boutique super niche market to ownstay bound properties. There are too many “investment” properties nowadays and many followers wrote in to raise concern that the properties becomes airbnb or too many funny tenants that prompted them to think of more less investment friendly project to fulfill their requirements and peaceful stay for their families. PROPCAFE take note on it and here we go the Riyang. Hi. Great write up. I came to know this project from this blog recently. I am keen to know more about this project. Is there anymore unit available? I am buying for own stay purpose. Thanks for providing such an informative website.